The Wake Forest Renaissance Centre is northern Wake County's newest cultural arts and event venue. Located at 405 S. Brooks St., in the heart of downtown Wake Forest, the facility features 10,000 square feet of versatile event and meeting space providing the perfect venue for a variety of events and activities, including exhibits, concerts, plays, recitals, conferences and private celebrations. Our Grand Hall can be configured in a variety of settings to accommodate all your event and meeting needs. Numerous amenities are provided, including an LCD projector, automated projection screen and monitors, computer ports for presentations and both broadband and wireless Internet. No matter what your occasion—performances, meetings, or other events—the Renaissance Centre staff will work to ensure a successful experience for you and your organization. Our charming downtown, warm and welcoming staff and our unique facility make the Renaissance Centre the number one meeting and entertainment venue in northern Wake County. A listing of upcoming events, including our featured events and ticket information is now available. New events are added regularly. 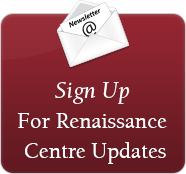 The Renaissance Centre is now accepting rental reservations. Our rate schedule and rental agreement, as well as information concerning wedding packages are provided. The Wake Forest Renaissance Centre is located in the heart of Wake Forest's Renaissance District! We aim to ensure your experience is as pleasant as possible. Whether you require information about accommodations, local dining, or other things to do while you’re here - this is where to find it. The Town of Wake Forest commemorated the official opening of the Renaissance Centre with a special Celebration of the Arts Nov. 14-16. Be sure to check out the incredible photos from this unforgettable community event and subsequent happenings! The purchase of the Renaissance Centre is the town’s latest significant investment in the downtown municipal district. Also known as the Renaissance District, the area encompasses approximately 220 acres and extends roughly from south of Holding Avenue to just north of Spring Street and between South White Street and South Franklin Street. For more information about the Wake Forest Renaissance Centre, contact Renaissance Centre Manager Cathy Gouge at 919-435-9567.